Welcome to Northwest Implants & Periodontics and thank you for visiting our website. This site is designed to provide you with information to assist you in learning more about your overall periodontal health and to help you better understand your course of treatment. 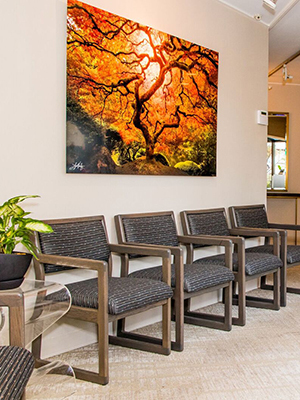 Our goal is to provide you with the highest quality of dental implant and periodontal care in a warm and caring environment. Attending to your comfort and concerns is our number-one priority. 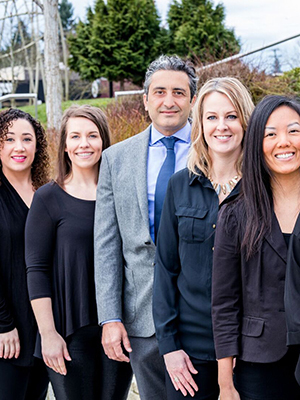 On your first visit to our Burien office, you will be given a thorough examination. Afterwards, Dr. Fred Farhat will explain his findings and your options for treatment including the cost of treatment. We will allow extra time to be sure all your questions are answered. We want to make sure you have all the information you need to make a decision that works well for you. 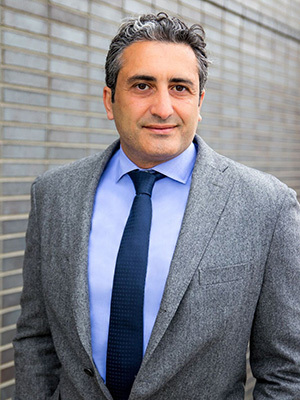 "Dr. Farhat is fantastic with all his patients and his quality of work is unsurpassed. If you need to go to a periodontist I highly recommend him!" "A gum graft isn't anyone's idea of a good time, but they did a great job keeping the unpleasantness to a minimum. The memorabilia in the office is very entertaining and a helpful distraction to boot"